I already have over 20 years in the business behind me, even though I am only 24 years old – will undoubtedly look back upon those last three years as a landmark achievement. I'm a singer, dancer, performer. In 2001, I was catapulted to the top of the French charts with my debut single. « Trackin’ » sold 750 000 copies and was certified platinum;it reached a 1 position in the sales charts and was 1 in the club charts… The track also made 1 in Holland, 2 in Belgium, 3 in Switzerland, 20 in Germany. It reached a great response in Germany and became 1 on radio and club charts…. Then by April 2002, I was back on the scene with my sophomore album, « Ride ». “Ride” was certified gold in France (100 000 copies) within just a few weeks and shipped gold in Switzerland. The album went on to achieve platinum status in the French market (300 000) and a total of 600 000 copies have been sold to date. 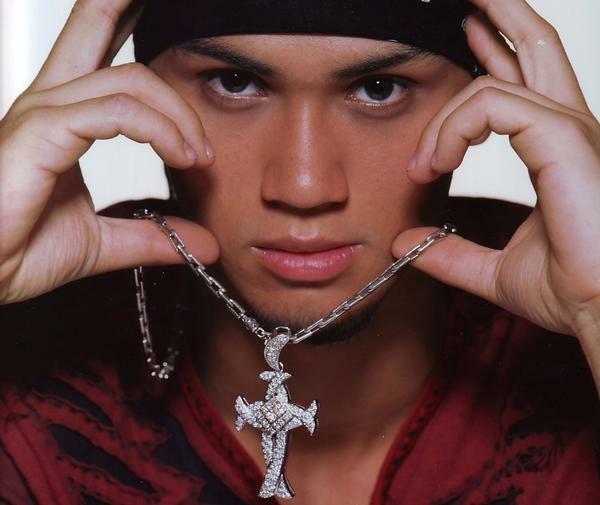 As for singles, following the success of the second track, « When You Think About Me » (over 250 000 copies sold in France), I was back again in September 2002 with my third single from the “Ride” album, « You Didn’t Expect That », which went straight in the Top 5 and was certified gold in December, having sold more than 250.000 copies in just a few weeks! After this landslide success, I returned in 2003 with two versions of a previously unreleased track: the English version of « Someone Like You » and a special Franco-English version for France, « Me passer de toi », which stayed in the singles charts for several weeks. I've already received a nomination at the 2002 NRJ Music Awards for « Best Newcomer of the Year », and in 2003, I was awarded as « International Male Artist of the Year» with competition from Will Smith, Eminem and Robbie Williams. During all these accomplishments I managed to squeeze a role in the movie " Dominion, The Prequel To The Exorsist" directed by the one and only Paul Shrader was released under Morgan Creek Films and WB. 2004 was the release of my latest album called "Big City". this album was produced by some of the hottest producers in the industry such as Kovas(ghettobeat production), J Que (from "The Clutch"), Tricky and Laney Stewart (REDZONE), The Cornerboyz, Pale Face, Desmond Child, Stargate, and more. I left my old company, V2 records, wanting to expand my career into something bigger. The rest should be history!! !